15¼ (18, 20½)" head circumference, un-stretched, to fit child/teen (woman, man). Hat will stretch to fit heads measuring 3-4" larger than finished circumference. 6½ (7¾, 9)" long, laid flat. 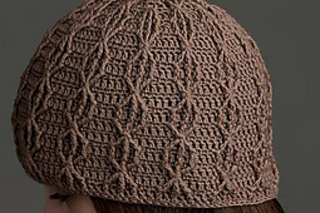 This intermediate hat uses front post double crochets to create a pattern inspired by 1950s fabrics. 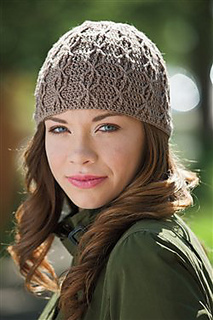 Sized for men, women, and children, this crocheted hat is the perfect gift for all.